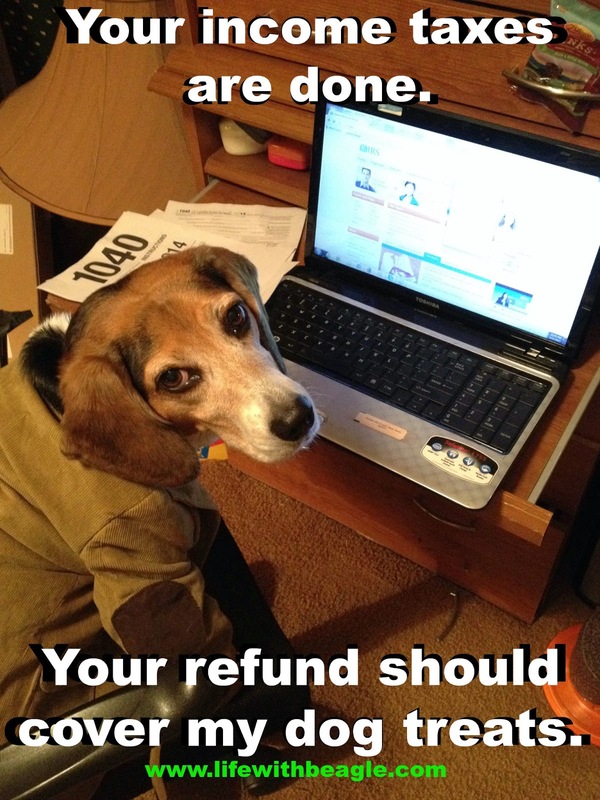 You can make money off of them (like if your dog does commercials). I was also reminded by Tampa Bay Beagle Rescue that if you foster a pet for a 501(c)3 non-profit, you can take off those expenses too! Do you foster? Otherwise, even though your dog or cat is your child, the government doesn't actually consider them children. I wonder if wearing human hats makes me a deduction? It is simply not fair Mom has to foot the bill for human children of others for school, etc, but can't deduct her fur kids. Bad IRS! Does your mom make money from it, Emma? Then maybe! Yay! Got money for treats coming. I hope its the good kind. Ma did our taxes a month ago. Shh, don't tell dad that when ma transferred the money from checking to savings that she keep a couple hundred out for Blogpaws. Oooh! Well you have to have party money! When it comes to treats, Lulu is Einstein! The way Luna spends money she must think she is tax deductible. I wish! She better start earning her keep! Love it! BTW - we are planning to do a post highlighting the Beagle and would love to have you/your dog featured. Maybe we could do a Q&A? Let us know if you would be interested.